For my original concept, I wanted to play around with different sensors using arduino. The idea was to create a device that uses a sound sensor to synchronize any sound played – such as music – with LED lights that play with the sound. I tried making this work, however, I could not make it the way I wanted. 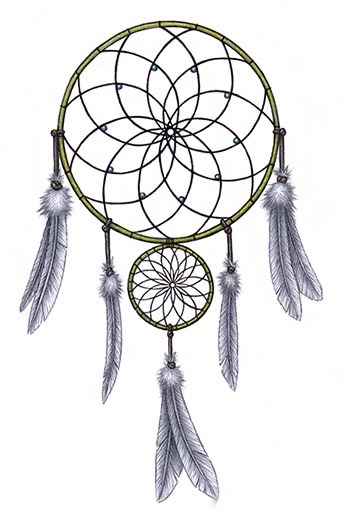 These are some well-designed dreamcatchers. The aesthetic conveyed looks really nice, but I do not think I can get the details correctly. I will replace the webs with lights, hoping to make it portable. I plan on using different colored feathers to finish it off. This whole thing is meant to be able to be hanged anywhere and used as a light source.